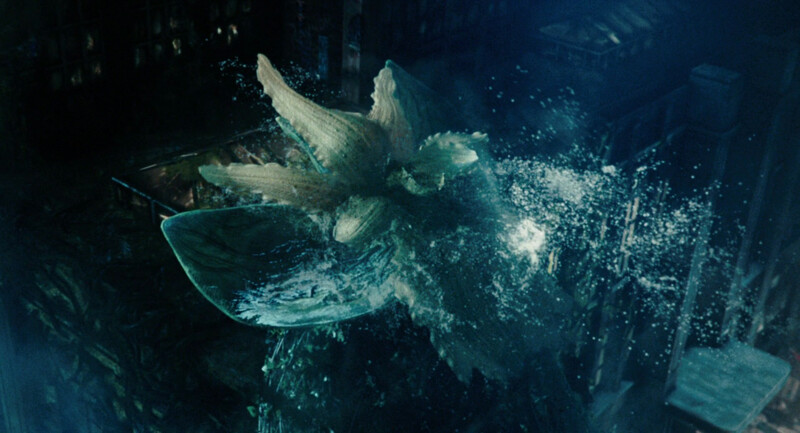 The Elemental was first conceived by Del Toro in one of his notebooks. The first drawing established the main traits of the design, which remained consistent throughout the creation process — such as a crown of mask-like petals wrapping around a central ‘energy ganglion’ defining the creature’s head and suggesting facial features. 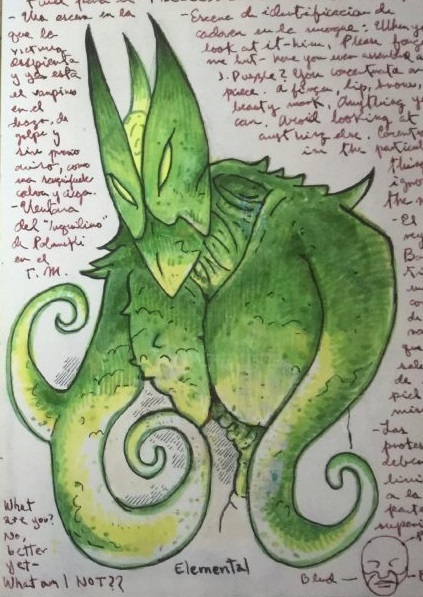 Del Toro’s sketch was passed on to Francisco Ruiz-Velasco, who defined the anatomy of the creature further. 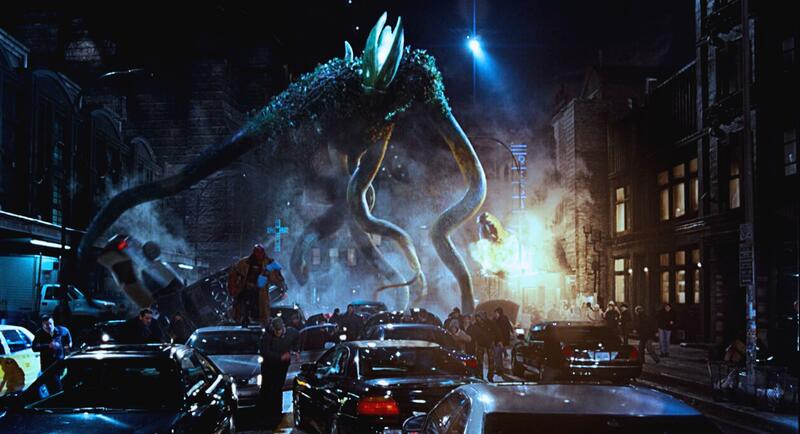 Once the design was finalized, it was translated into three dimensions by Colin Shulver, who sculpted a series of small-scale maquettes of the Elemental. The maquettes served as the base for Double Negative’s computer-generated Elemental, a highly detailed digital model. 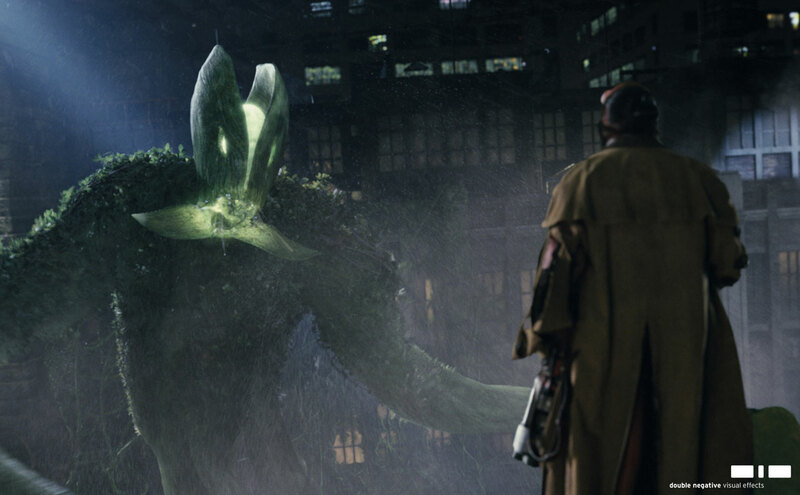 The Elemental’s scale, in fact, dictated — according to Del Toro — a CG-only effects approach. Double Negative CG lead Christophe Ahmand and animation lead Colin McAvoy built the Elemental in two layers — the main body and the covering of moss-like vegetation on the torso. The so-called ‘pimp coat’ was added by the digital effects team to enhance the sense of mass the character would necessarily have to convey. 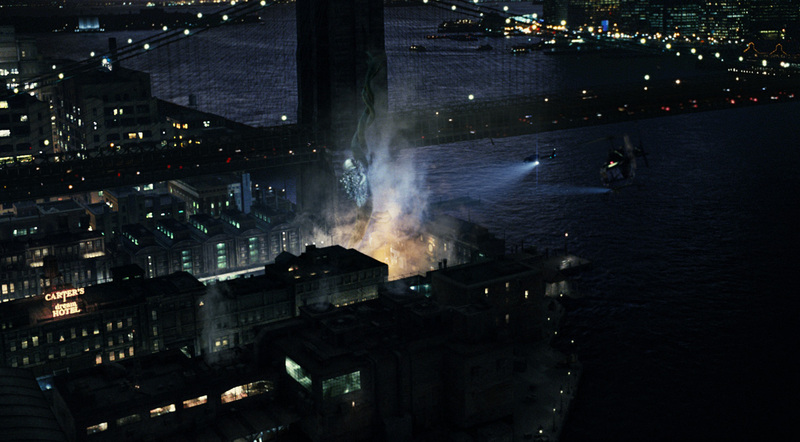 Other additional effects — including steam and dripping water — increased the detail and realism of the character. 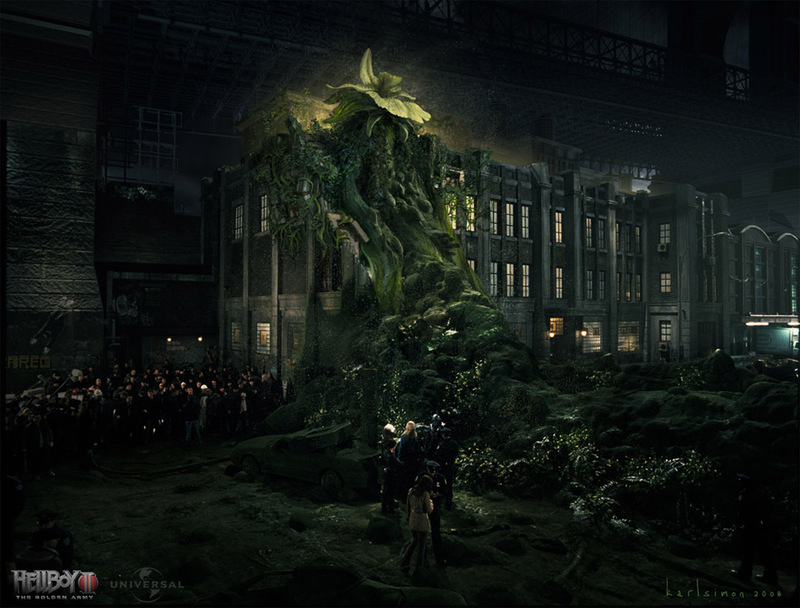 When the Elemental is shot, its ichor provokes the spontaneous growth of roots and vegetation, for which a growth simulation program was used. The creature’s dripping wounds were achieved with fluid simulation technology, which created flowing ichor. For more pictures of the Elemental, visit the Monster Gallery. Posted on 01/07/2018, in Movie Monsters and tagged Elemental, Guillermo del Toro, Hellboy, Hellboy II. Bookmark the permalink. Leave a comment.